Here’s a quick question before we get into the news: Since season six of Community ended, how many times have you visited the Yahoo Screen website or logged onto the Yahoo Screen app? If your answer is “I don’t know what Yahoo Screen is,” then people like you are the reason Yahoo’s CFO recently had to explain why his company is so bad at everything it does. Well, people like you aren’t the only reason, but you should still probably feel bad. As reported by Variety, Yahoo CFO Ken Goldman explained during the company’s quarterly earnings call that Yahoo’s video division lost $42 million in the last quarter, and he “specifically singled out Community” (as well as Yahoo’s two original shows Sin City Saints and Other Space) as the reason behind “what went wrong.” He explained that making money off of these shows “didn’t work the way that [Yahoo] hoped it would,” which basically means that advertisers didn’t really give a damn about a low-rated NBC comedy moving to a video streaming service that nobody had ever used before (or since)—and that’s despite the fact that season six of Community literally featured an episode that was all about how great Honda is. This news comes a few weeks after Community creator Dan Harmon said that the future of the show at Yahoo (and in general) is “bleak,” due to one of the show’s biggest champions leaving the company. 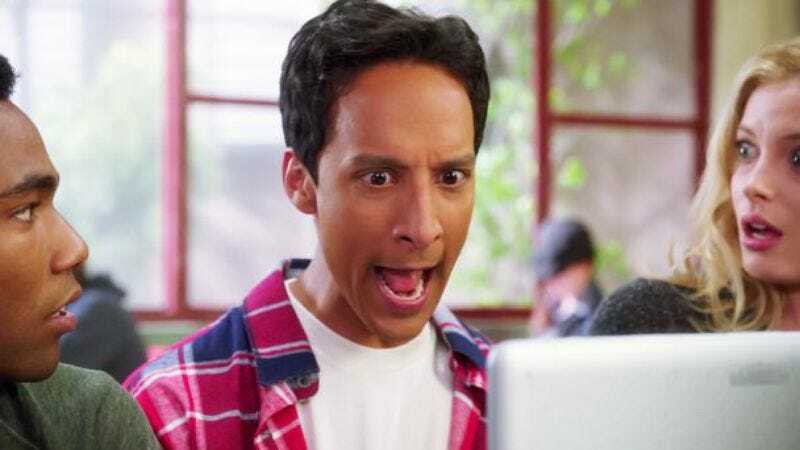 Now that we know picking up Community once cost Yahoo so much money, the odds of it getting picked up a second time seem even bleaker than bleak. Still, nobody expected NBC to rehire Harmon when he got fired after season three, and nobody expected the show to continue once NBC canceled it, so there’s actually some precedent for Community fans to hang onto here if they’re still hoping that it’ll come back in some form. Just don’t blame us for not sharing your optimism.